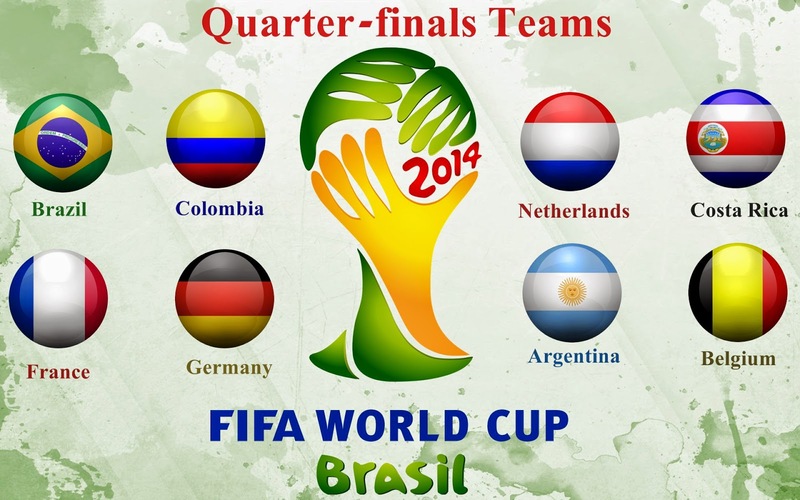 For the first time ever in World Cup history the field of eight teams will consist of the eight group winners. Keep in mind that the format of eight groups only came into existence in France 1998, which means that this is only the fifth tournament with this format, but nonetheless. Our guys give their predictions. But first, let's take up how they did in the previous round. Iain: This one is a very difficult one to predict. Going into the tournament, Germany were seen as the European side that would likely go the furthest in the tournament and were perhaps one of the favorites to win the whole thing. France on the other hand have a history of imploding at International tournaments, so no one knew what to expect from them. France have been terrific so far in this tournament, but you could argue that they haven't been truly tested yet. This will be a massive test to say the least. The slow German back line does concern me a bit, but I just think that they have enough experience in their ranks to edge this one. Iain: I had originally picked Brazil to win the tournament, but they have done nothing to impress me so far, other than get the ball to the brilliant Neymar. Brazil look very nervy at the back and I've never seen a Brazilian side with such a horrific collection of strikers in the hapless Fred and the clueless Jo. Colombia have been the team of the tournament for me and I expect them to put Brazil out in a thrilling encounter. Iain: Argentina have looked pretty poor throughout this tournament, and like Brazil have relied on Neymar, Argentina have leaned heavily on Messi to drag them through. Belgium have been a bit disappointing themselves for a side that everyone predicted to be an exciting dark horse. That being said, they did put in a good performance against the United States. I expect Argentina to just about squeak through this one, but it won't be pretty. Iain: The Ticos have had the greatest tournament in their countries football history, but this will be the end of the road for them I'm afraid. The Netherlands have had a few struggles after their terrific 5-1 hammering of Spain in their opener, but they've found ways to win and I'm confident they will do here as well. The Dutch have just too much quality in their ranks and will win this one comfortably.